The community is invited to join us each year as we commemorate this tragic event in honor of our 9 fallen heroes. (Click for details). The Charleston 9 Memorial Park serves as a memorial to the 9 members who lost their lives and a place for quiet reflection. (Click for details). Fire & Iron Motorcycle, Station 28, initiated a project to assist with improving the memorial park with engraved bricks. (Click for details). 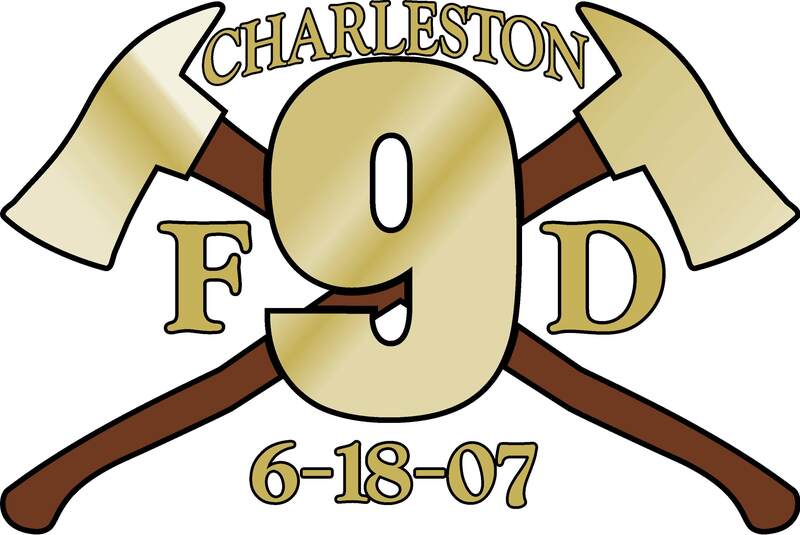 On Monday, June 18, 2007, the Charleston Fire Department lost nine brave firefighters while battling a devastating blaze at a furniture store. These heroes were memorialized on June 22, 2007. A procession of more than 300 fire engines, ladder trucks, ambulances, and command vehicles stretched approximately 7.5 miles (12 km) and moved single-file along a route which passed each of the three fire stations from which firefighters were lost, as well as past the site of the fatal fire. Bystanders, police officers, and ATF agents paid their respects by saluting or holding their hands over their hearts. The procession then moved along Interstate 526 to the North Charleston Coliseum where an estimated 30,000 people, including as many as 8,000 firefighters representing over 700 emergency services agencies from across the United States and Canada, attended the memorial service to honor the fallen heroes. The Charleston Fire Department continues to honor the "Charleston 9" by striving for excellence in fire service professionalism, leadership, safety, risk reduction, science & technology, and training. Members of the Department also wear commemorative logos on their working uniforms. "Their unwavering commitment to their neighbors and to the City of Charleston is an inspiration to all Americans."